Mowing isn’t something you always have time to keep up on. That’s where Elkhart Landscape comes in. We’ll make sure your landscaping is mowed professionally. 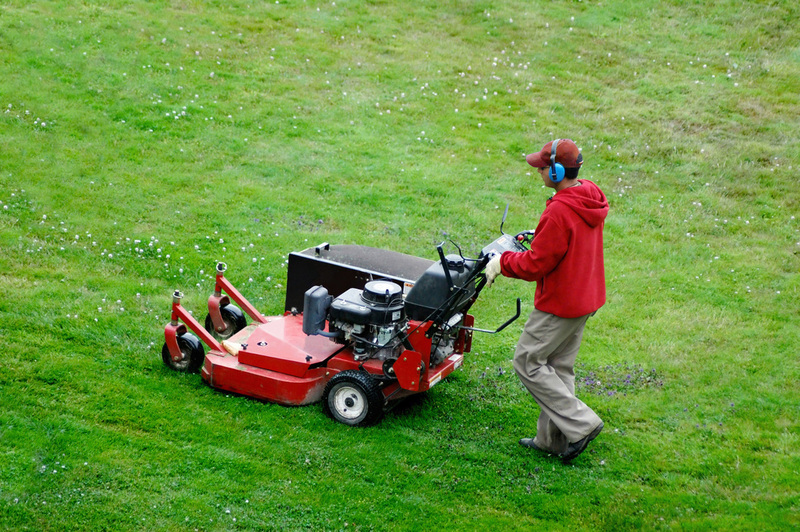 You’ll never need to worry about long grass again because mowing is our specialty. Whether you have a lot of grass or a little, our professionals will keep your curb appeal looking its best. When most people think of mowing they think of the traditional once a week run over that if you're lucky gets done in about 30 minutes. Never quite looks exactly how you want it , nor does the time that it takes for you to do it , ever is it really worth it. A lot of people that we've noticed have had numerous allergies to their lawns and take less time to do it because of that. Let our professionals take care of it in a way that makes your pride tingle with joy. You'll notice that every single blade of grass is the same size, we guarantee it. all those extras at most landscape companies charge extra for what we take care of, to us that's what mowing is all about. It takes a certain special skill set and many years of knowledge and expertise to know what the client needs and wants before they even open up their mouths. We believe your lawn should look like the morning greens at the Masters or the plush green tennis courts at Wimbledon. To watch your kids play barefoot and knowing that there's no rocks or impediments or things that can get in the way of a great Sunday afternoon, that's the feeling we like to ensure our clients about the very essence of lawn care. Even if you want the beautiful patterns of the MLB or maybe a unique design you can only see from up high, Elkhart landscape is your number one company for all your unique and specialized lawn care when it comes to mowing. All sizes and shapes are welcome, we custom tailor it to your exact personal needs. We here at Elkhart landscape look forward to seeing your specific type of lawn, to give you the best quote possible. We can help with your mowing needs too! Please give us a call today.